A wonderful tinywall and really small. copc wrote: A wonderful tinywall and really small. According to Softpedia, it requires dotNET 3.5 but FreewareGenius mentions that it "does not install drivers or kernel-components of its own." Might qualify as portable. Tried to install tinywall on win_to_go RP without success. I installed it on win7, copied the tinywall folder to win_to_go and worked ok.
Popup message "tinywall, database is missing or corrupt" shows only at start up. Not sure which one is correct? Firewalls are deeply integrated into the OS. 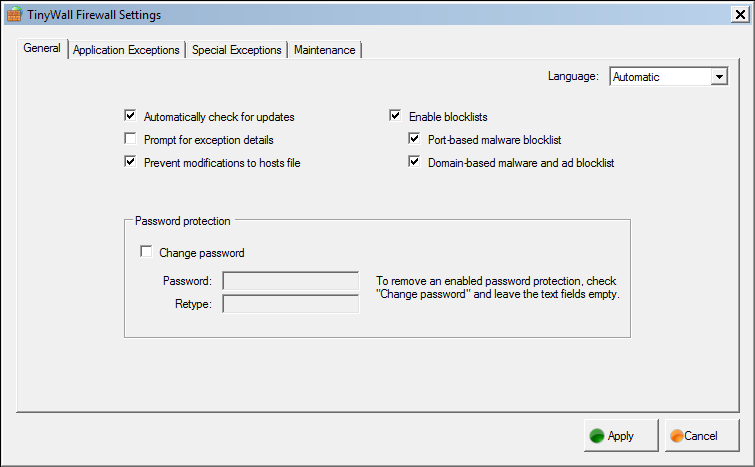 I did not test the quality.. as it's not really it's own firewall but just enhances Windows Firewall by adding features, GUI, menus, etc. 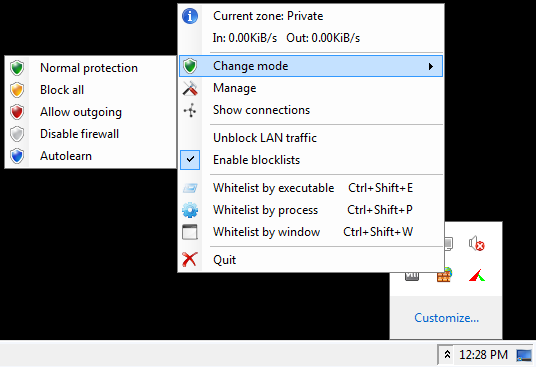 Windows Firewall did look more useable with TinyWall. If you're going the freeware/minimal route, it might be something to check out. From what i hear.. Windows Firewall is quite good.. it's just most people don't use it or care for it. I don't think it makes much sense to make a firewall portable. But, technically not a lot is missing to support it, so let me know if anyone would find it useful. Depending on the demand, I might invest some work into it. Topic update: Tinywall v2.1.8 released, dated 2016-03-10 (changelog at https://tinywall.pados.hu/changelog.txt).